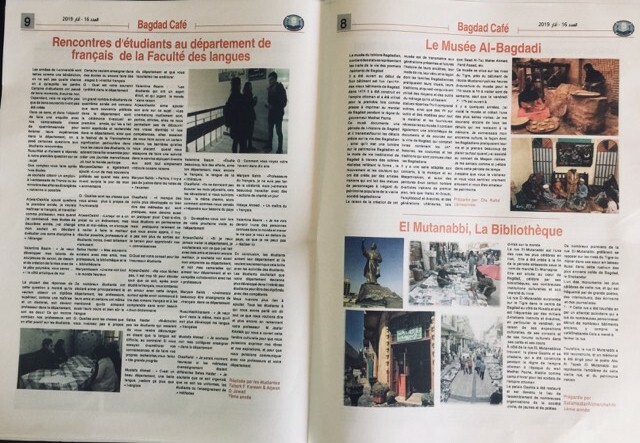 The magazine of the college of languages has achieved a remarkable media achievement within its 12th issue represented in a French press attaché. 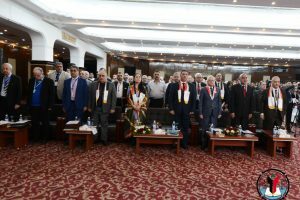 This issue included various topics written by the professors and students of the department of French language concerning the Iraqi civilization and culture in the fields of literature, arts, Baghdadi monuments, popular food, cultural and archaeological monuments in Mesopotamia. 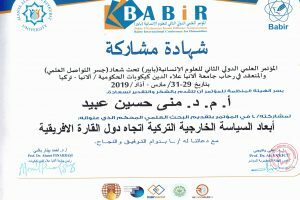 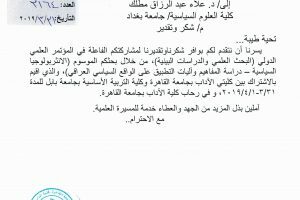 The Department of French language has expressed its rejoice for this academic and cultural achievement that reflects the keenness of the head of department and teaching staff to communicate with the French-speaking world in order to draw a beautiful picture of Iraq.